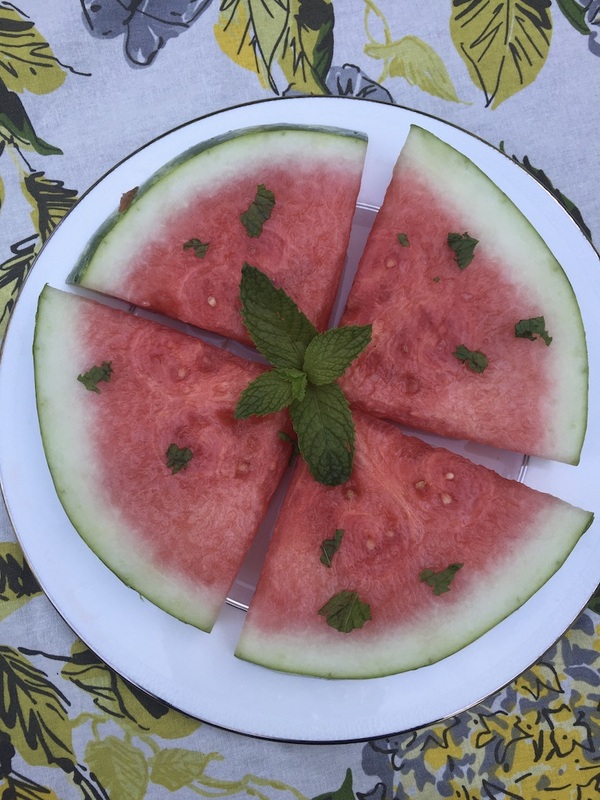 In a single layer, arrange watermelon slices at the bottom of two 9-by-13-inch baking dishes. Pour the tequila over the wedges until the wedge is 1/2 way submerged then put them in the refrigerator. Allow the watermelon to soak for at least 1/2 hour, then gently flip each wedge and allow to soak for another 1/2 hr. Remove simple syrup from heat, stir the mint leaves into the simple syrup and allow to sit for at least 30 minutes. After the 30 minutes remove the leaves and allow it to come to room temperature. Simple syrup can be stored in your fridge for about a month. Just before serving, remove the wedges from the baking dish and arrange on a serving tray. Generously pour the mint simple syrup over the wedges. Sprinkle the salt evenly over the wedges and ENJOY!